Italy is a superb country to take holiday for so many reasons. This country oozes with romance which makes it the perfect place for younger couples to fall madly in love or for older couples to rekindle that magic. Plus, there is no better place to get a great slice of Sicilian pizza and gelato. If you are a lover of art and religion you will be able to find some of the finest artwork and will also be able to visit the Vatican and listen to the Pope. Some of the must see cities are Rome, Venice, Milan and Florence. It’s also wise to remember to travel to the following regions and make them part part of your trip: Tuscany, Campania, Sicily, Umbria, The Lakes and Liguria. Planning an Italy travel requires you to focus on several aspects of budget travel to ensure that you can enjoy your Italy tour with no worries. Of course, you will not enjoy a single moment in such a beautiful country, if you are not planning your journey properly. So here are some Italy travel tips that you need to follow without fail, to create your journey more memorable. The peak tourist season in Italy is June – September. Hence, you can book your tickets to fly to this country either during April – May or September – November. Besides, hassle free tourism, you will also enjoy cheap hotel rates and even other expenses will be reduced significantly. Also the early bloom of spring in April – May and cool autumn nights in September – November are ideal for living some soulful moments in your vacation in Italy. It never hurts to have a travel insurance, especially if you’re an overseas traveler. If you’re visiting Italy with your family, it is advisable to have a travel cover. The amount of your stay in Italy is completely determined by your passport validity duration. Generally, overseas individuals are allowed to spend 3 months as tourists in Italy, provided they are not coming to Italy for other purposes like business or studies. Should i tell you anything about packing less and carrying light luggage? Travel light because at railway stations, you might not find porters! Moreover, where you will keep the accessories and clothing that you will shop during your Italy stay? Save some space from shopping also! 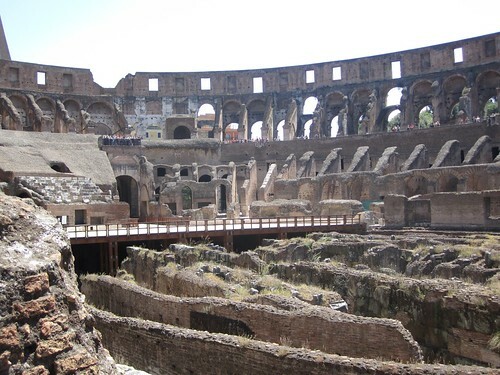 The capital town of Italy, Rome, is another great place to go to and there are various cheap hotels within the outskirts of the city where one can stay. Moreover, Italian food, that’s known worldwide, could be best found in Rome. Among the Italy travel tips is that don’t choose luxury restaurants and top quality hotels as they possibly can be very expensive. Prefer food from shopping stores, bars and food courts. 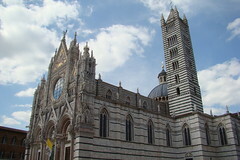 You’re going to discover an ocean of information about Italy through the Internet and in travel guide books. It’s not possible to learn everything about Italy however, you can certainly become familiar more about Italy’s history and culture. That will increase your understanding about Italy. 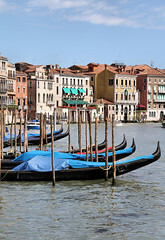 Visiting Venice is one thing that certainly you must not miss on a trip to Italy. Among the Venice, Italy travel tips is to take a very good camera together with you, as you can’t afford to capture pictures of the city, where you’ll find highest number of masterpieces inside a per square kilometer area! The currency of Italy, Euro (Symbol = €) is accepted by 17 nations in Europe and you might not face any problem in dealing with it. However, if you are from countries outside Europe, like US, UK, India, do carry some Euro money. Taxis from airports hardly take money in other currencies, so you may face problems, if you are not carrying Euros and Euro cents. Nevertheless, just about all major stations and airports in Italy possess the facility for currency exchange. Phone matters when you’re in Italy, to ensure that you’re safe and you will contact emergency numbers, if you require. If you are traveling using their company, make sure you have subscribed international free phone cards and within Italy, you can buy a scheda telefonica (or carta telefonica) which are disposable telephone cards, for usage in Italy. They can be purchased from any tobacco shops, railway stations and airports. In the city, you will discover various ATMs, referred to as Bancomat and you can withdraw money from your ATM cards. Before traveling to Italy, ensure you speak to your bank and inquire if you don’t want to get a new password for international transactions. A lot of lenders in Europe accept passwords which are a lot more than four digits, so ensure you’re conscious of all laws and rules. If you do not known Italian, it’s not an issue because there are lots of people who is able to communicate in common languages like English, French and German. Just about all hotel staffs are able to converse in English and thus it is not an issue with regards to language. The more deeper you go into Italy, you’ll predominantly find more regional dialects being spoken! Please use sign language, as numerous outside tourists use it to describe things! Moreover, if you can try to take some efforts to speak Italian, it will likely be highly appreciated by Italians, as they are very friendly people. The price in which to stay in Italy hotels is not inexpensive and it starts anywhere around 100 Euros per night, and goes upwards with respect to the area and hotel. The more you decide to go to the south of Italy, cheaper would be the hotel rates. Traveling by train is a perfect method to manage transportation costs in Italy. Eurostars, the fast trains in Italy cost anywhere around Euro 30 to 50 per trip. One of the Italy train travel tips is to buy tickets for slow regional trains which are cheaper per trip. Besides trains, you will find ferries and buses with good facilities too. Numerous states in European union have adopted a chip-and-PIN method for a credit and an atm card. These kinds of “smartcards” include a microchip. When generating any purchase, cardholders need to enter a Personal identification number (similar to utilizing a debit card for any point-of-sale order in the US). The microchip in the card then authorizes the operation. Even though handy for Europeans, chip-and-PIN cards are producing a couple of hassles for USA visitors: A number of machines that are designed to take chip-and-PIN cards simply do not accept US plastic cards. This is especially common with automated machines, for example those at train and subway stations, toll roads, car parking garages, baggage lockers, bike rentals, and self-service at gasoline stations. In most of these situations, a cashier is in close proximity that can process your card by hand by swiping it, and having you sign your name to the bill the old-fashioned way. Automated machines usually takes your US credit card should you also know the card’s PIN. Every card has one – ask your bank for the number before leaving; since they’re unlikely to inform you over the phone, allow time for the bank to mail the PIN. For now, most hotels, restaurants, and shops that serve Americans will gladly accept your US charge card. However, at smaller shops, the merchant may prefer that you don’t use your card (given that they pay a significantly higher commission on “regular” credit-card transactions than on chip-and-PIN ones). They might accept your card, but then request you to enter in the PIN. If this happens, politely keep these things print a receipt that you should sign instead (in live transactions, it’s slightly safer to sign than enter your PIN). When they refuse, either make use of your PIN or pay with cash. Have also a document with you in case they will check who is the owner of the card. American vacation goers can stay clear of potential hassle through getting their very own chip-and-PIN card just for their trip, but I do not recommend it. It is far better to get a PIN card that is preloaded with Euros. The harsh truth: Expect that your credit card occasionally isn’t accepted. Remember that in case your card is rejected, there’s usually an alternative – either paying with cash, typing inside your credit card’s PIN, or paying together with your charge card at a ticket window. However in several cases, you may simply be at a complete loss; drivers particularly need to be conscious of potential problems when filling up at an automated gas station, entering an unattended parking garage, or exiting a toll road, you might just have to move on to the next gas station, or use the “cash only” lane at the toll plaza. Remember to protect yourself against purse-snatchers and pickpockets. It is recommended that you wear a money belt or perhaps a pouch on the string around your neck, both concealed. If you need to carry a purse make sure that is around your neck and tucked between your body and arm. A word of caution: “gypsy” youngsters are widespread in Rome, and are skilled pickpockets that are quick, and know more tricks than you do.